Located upstairs, the Diamond Room features a multi-colored stained glass diamond window overlooking the queen-sized bed. 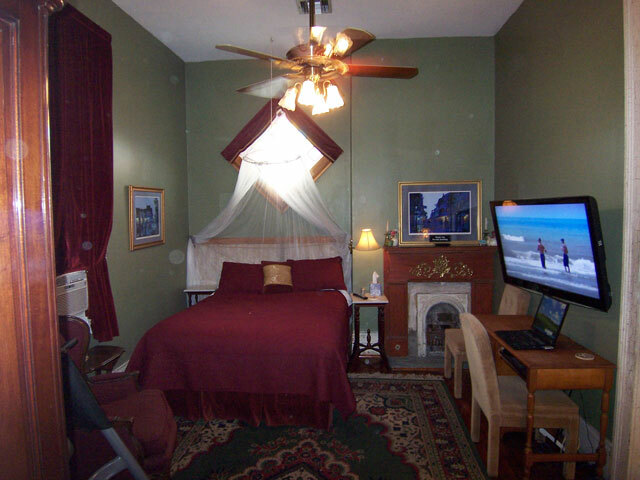 The room has Central Air Conditioning with a thermostat in the room along with a ceiling fan your comfort. A small safe is in the room so you can secure valuables. An adjustable wall mounted 46" HD Widscreen TV with cable, can be enjoyed from any point in room. There is a desk, high-speed internet data port or Wi Fi access, telephone jack and a Bose Stereo with CD player and a plug to connect your iPod. 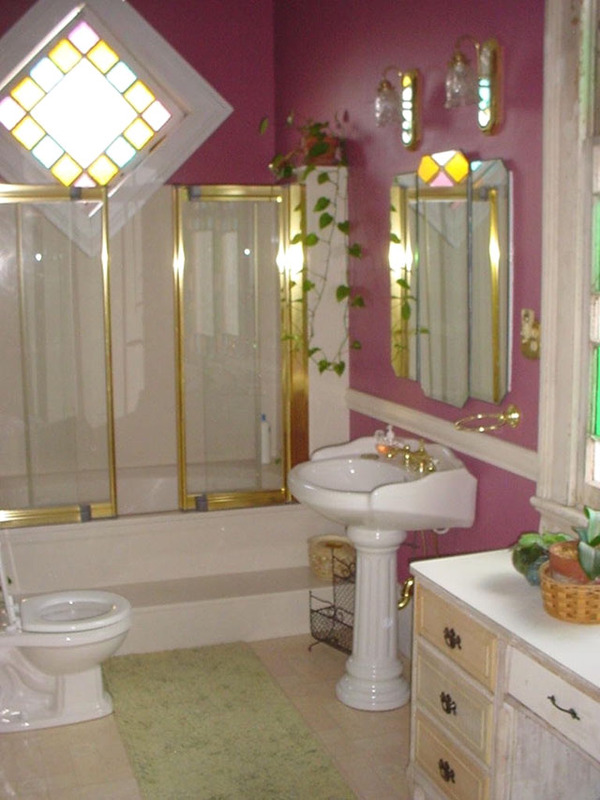 The private bathroom features a large garden tub/shower with built in dual shower heads; it's big enough to accommodate two. 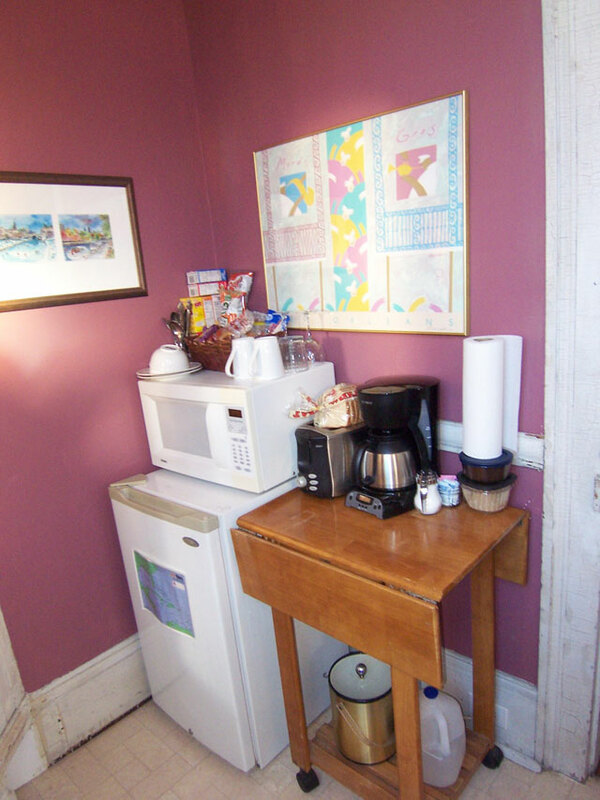 Also, the room has a Keurig coffee maker, microwave, and refrigerator/freezer. We provide a continental breakfast, soft drinks and snacks along with daily room service.